A delightful picnic basket that is fully transportable with an easy pull handle. A hamper designed for total relation with plenty space to hold contents for 4 people. A luxury picnic blanket is also included. The basket is hand made with willow. 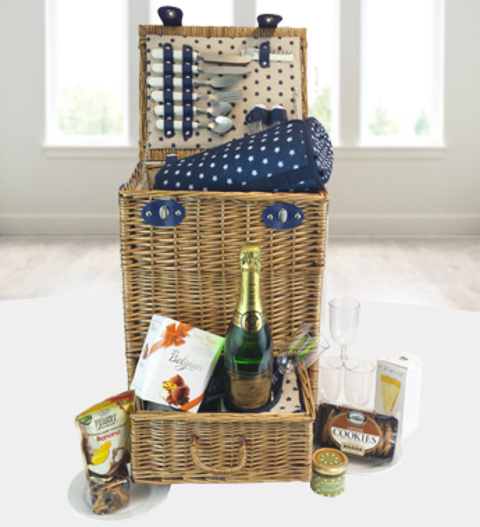 The grand trolley picnic basket is perfect for outdoors and is available for UK next day delivery.